There has been a veritable avalanche of hockey memoirs published in the last few years that foreground the critically important topic of men’s mental illness. To be clear, these books are chiefly accounts of the lives of these men in professional hockey, but underlying issues such as Post Traumatic Stress Disorder (PTSD), alcohol and substance abuse, depression, and anxiety appear as prominently in the player’s career trajectories as Fall training camp or the National Hockey League (NHL) draft. A quick scan of these titles may give you the skewed impression that hockey is bad for your mental health, or even prompt the question: What’s up with Canada’s game? Of course this is an exaggeration. Any sports fan who reads will tell you that the vast majority of hockey books published are as formulaic as the ones I read as a kid. In fact, some of the first “adult” books I ever read as a boy were about or by hockey stars – straightforward stories of triumph. 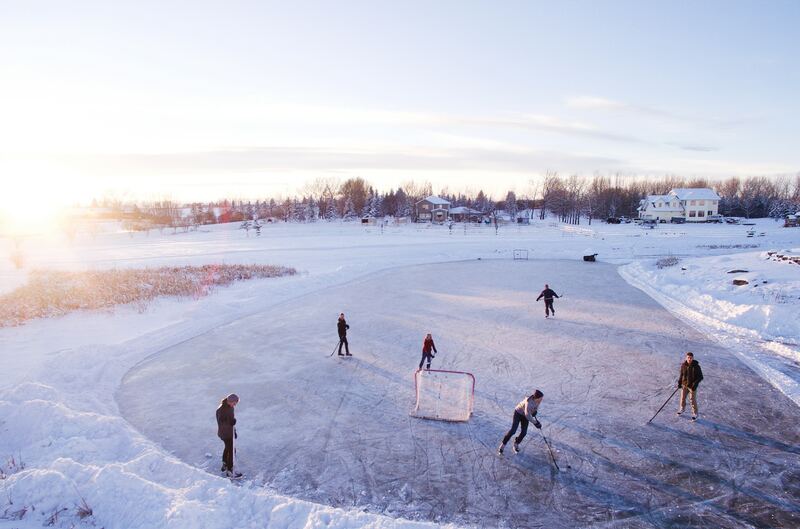 Most are, by and large, exciting, innocent adventures of determined and talented players advancing from back-country frozen ponds, surmounting uncomplicated obstacles, and ultimately finding fame in the NHL. This literary landscape changed dramatically, however, with the publication of two eye-opening and ground-breaking autobiographies. Sheldon Kennedy’s Why I Didn’t Say Anything (2006) bravely addressed child sexual abuse when he disclosed the sexual crimes of his predatory coach, Graham James. In 2009, Theoren Fleury recounted experiences with this same monstrous coach in his book, Playing with Fire. The impact of Kennedy’s and Fleury’s books on the NHL – and on hockey at all levels – was absolutely seismic. These stories also had a profound effect on Canadian society in general, as Kennedy’s descriptions of the abuse – and how he dealt with the trauma by abusing alcohol and drugs during his NHL days in the 1990s – was powerful and, ultimately, a game-changer in child care and other areas. His story opened the door for the implementation of many positive measures in hockey, including a new tolerance for writing about and discussing previously stigmatized subjects. In the years since, a sliver of the already small niche of hockey biographies has been cutting-edge in the call to attention they have solicited for mental health issues. A sliver of the already small niche of hockey biographies has been cutting-edge in the call to attention they have solicited for mental health issues. More recent books by Jordin Tootoo, All the Way (2014), Clint Malarchuk, The Crazy Game (2014), Patrick O’Sullivan, Breaking Away (2015) and a biography of the late enforcer Derek Boogaard, Boy on Ice (2014) have similarly shone light on the darker side of playing hockey. While hockey itself certainly does not cause mental illness, like any segment of society there are vulnerable NHL players who are susceptible to it. Men do not typically talk about things like weakness or vulnerability, and they don’t usually discuss these topics with their friends, but we need to. Hockey is an immensely popular and influential game, so the potential for conversation surrounding men’s mental health reaching a wider audience is massive. These players writing about their experiences is doing just that, and it is a huge deal! Men do not typically talk about things like weakness or vulnerability, and they don’t usually discuss these topics with their friends, but we need to. A closer examination of many of these books reveals that they are not your average superstar memoirs, nor are they written by the biggest names in the sport. With the exception of Malarchuk, who had success as a goalie in the 1980s, or Fleury who was a top-scorer with the Calgary Flames and New York Rangers, none of them was a famous player. Although it is a major feat to make it to the NHL – and I am not implying anything to the contrary – these are the stories of hockey’s “everyman.” I challenge that this makes these stories even more important because they suggest that any player can be at risk in a hyper-masculine environment (which, in Canada, might better be labelled the hyper-masculine environment). We may find it hard to relate to the megastar story of a Gretzky or a Crosby, but we can more easily identify with the plight of these more regular NHL players. 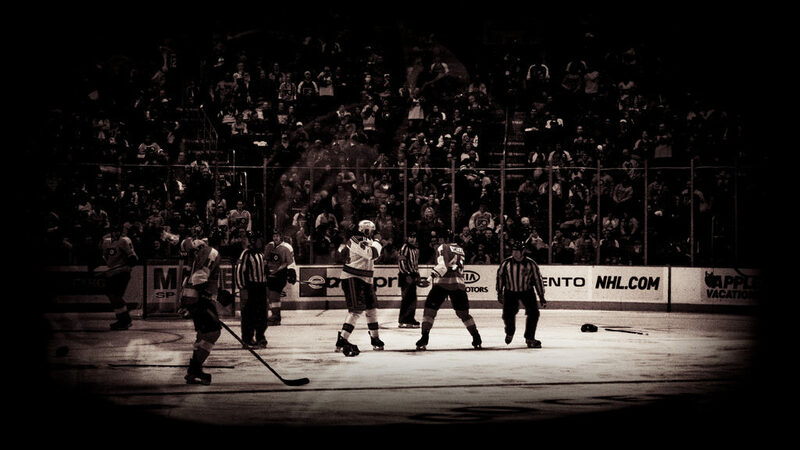 This is hockey stripped of any glamour or hype, not the realized boyhood dreams of a life in the pros. It is hockey, but presents the game as lived by flesh and blood suffering men. It is hockey, but presents the game as lived by flesh and blood suffering men. The battle scars of “goon” Derek Boogaard, who suppressed his pain in silence by self-medicating to the extreme, symbolized the exaggerated, muted, dysfunctional behaviours that some of us men demonstrate. He has dreams of being recognized for his hockey talents – the ultimate dream of all enforcers – but he is resigned to fighting, which is his real job on the ice. The results of his resignation were terrible, most notably in the experience of his community. When a man is dislocated from familiar surroundings and has lost his social supports, he can be vulnerable. Jordin Tootoo was raised in Rankin Inlet, Nunavut, a community rife with alcoholism and family dysfunction, as well as the generations-old historical trauma – the consequences of colonialism – of an Indigenous living in Canada. Hockey was a rare outlet for escape and Tootoo excelled at it, becoming a local sensation before heading south to play junior hockey in Brandon, Manitoba. Despite being somewhat of an adolescent celebrity with the Brandon Wheat Kings, he was adrift in a strange environment and disconnected from his community. He experienced racism for the first time and had feelings of isolation that he suppressed with alcohol, partying, and local girls. Nunavut might have had its major problems, but it was still his home. Tootoo triumphed on the ice and made it to the pros, becoming the first ever Inuk to do so. His inner fragility worsened, however, until he hit rock bottom a few years into his career. Fortunately, in 2008, he realized that he needed help, and accepted the National Hockey League Players Association (NHLPA) directive of rehabilitative treatment. He was able to re-connect with his Inuit heritage, and his culture became a source of strength. He is still active in the NHL today, playing sober and living well as a New Jersey Devil. It has become widely accepted in mental health circles that childhood trauma often manifests itself through negative consequences in adulthood. Patrick O’Sullivan’s childhood was a nightmare as he experienced the physical abuse and mental torment from “a hockey dad from hell,” John O’Sullivan, whose relentless drive to get his son into the NHL was absolutely outstanding. It was clearly evident that young Patrick had natural hockey talent, but a decade of his dad’s brutality all but snuffed out any true passion he had left for the sport. By the time he reached the NHL entry level draft in 2003 and his story was common knowledge on the sports channels, potential hockey suitors had already pegged him as having “baggage.” Although he was by then free from the control of his demanding dad, he was labelled a “problem kid” that no team in the NHL, with its historical aversion toward mental health issues, was willing to tackle. O’Sullivan had a number of lacklustre seasons but, in truth, his career never had a chance. He unknowingly, suffered from PTSD, which played no small role in ultimately sidelining him. Only now, in retirement, is he seeking and getting the help and support he needs to deal with his childhood trauma. Clint Malarchuk’s tale is the perfect example of a young man suffering from mental illness that progressed to the point of career-ending debilitation. He suffered from both Obsessive Compulsive Disorder (OCD) and Major Depressive Disorder (MDD). A goalie in the 1980s and 1990s with Quebec, Washington and, later, the Buffalo Sabres, he achieved widespread notoriety for having his jugular vein cut open by an opponent’s skate during a televised NHL game in 1989. Millions continent-wide watched in horror as Malarchuk was rushed off the ice, trainers and attendants furiously trying to stop the surging blood. He barely survived. The “play through pain” work ethic took hold, however, and he was back in the net within a couple of weeks. His close brush with death, however, would dog him for years to come, and his depression and OCD worsened in the ensuing years. It became so bad in the early 1990s, and his drinking to combat it so excessive, that he lost his job in the pros. He was relegated to the minors before eventually retiring; he went into coaching. His drinking as a form of self-medication while he was still playing caused the NHLPA to pressure him into rehabilitation. This assistance was not sustained for long. It was the first of many stints in rehab, followed by repeated periods of sobriety and infrequent binges. Despite all these circumstances, he maintained his belief in his own self-reliance and ability to work it out for himself. Clearly, his attempts at self-treatment were not working. In 2007 his mental pain became so intense that he threatened to kill himself. In 2007 his mental pain became so intense that he threatened to kill himself. He ended up in a psychiatric ward. A year later he attempted suicide by shooting himself in the mouth, but somehow miraculously survived. His suicide attempt precipitated the more stable recovery that he enjoys today. The memoir ends with no resolution or conclusion, just the realistic assertion that his life continues to be a “work in progress”. He confesses that it has been a decades – long pursuit with many setbacks and failures, but, finally, he feels that he has a handle on his demons. I must reiterate that these are important books, and I highly recommend reading any or all of them. There are others, too, including a new one by Reggie Leach titled The Riverton Rifle. He was the celebrated Indigenous sniper on the 1970s Philadelphia “Ferocious” Flyers, whose career was all but eclipsed by alcoholism. Like the books mentioned above, it is one that I think transcends the genre of the mere hockey memoir. All are meaningful testimonies of pain that offer us an uncensored window into both the hockey world and the struggles of men who battle mental illness. They invite all men, the average Joes who love hockey and hold sacred the Canadian Saturday night winter ritual, to shatter the stigma associated with mental illness and break to pieces the silence that surrounds it. For some men these stories are the source by which they learn more about mental afflictions, while others who might suffer from similar disorders are afforded an opportunity to relate to men with whom they share similar struggles. These books are reaching the audience who may benefit the most from them – namely other males – and for that we are grateful for the hope, inspiration, and conversation surrounding the topic of men’s mental health. And to that, I can only say: Game on!